Truck driving is one of the most dangerous professions. In 2014, truck driving ranked number eight on the list of most dangerous jobs in America. It is estimated that 300,000 truck accidents occurred in 2012. The good news is that there are many things that you can do to drive safely. 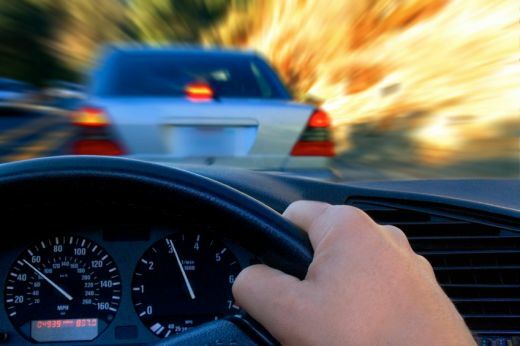 There have been laws passed to restrict the amount of time that drivers can stay on the road. However, many drivers will disregard these laws. Studies have shown that driving after being awake for 18 hours is the equivalent of driving while intoxicated. That is why you should look out for signs of drowsiness, such as yawning, blurred vision and heavy eyes. You have to be extra careful when you are driving through a construction zone. It is estimated that 30 percent of the construction zone accidents involve large trucks. You can avoid accidents by driving slower in a construction zone. Keep in mind that you could lose your license if you are caught speeding while you are in a construction zone. Wearing a seatbelt can save your life. Your chances of being thrown from the vehicle and killed are 25 times higher if you are not wearing a seatbelt. Wearing a seatbelt can also prevent you from being dragged on the road. It is estimated that 25 percent of the truck driving accidents have been caused by bad weather. You will need to drive at least 10 miles slower when the weather is snowy or rainy. If you see other truck drivers pulling over, then it is a good idea for you to do so. Car drivers are not the only ones who get distracted while they are driving. Hidden cameras have captured people texting, eating and engaging in other distracting behaviors while driving a truck. Truck drivers who are distracted are more likely to be involved in a car accident. A big part of staying safe while on the road is taking good care of yourself. In addition to getting the proper rest, you will need to eat right and exercise. Living a healthy lifestyle will help keep you refreshed while you are behind the wheel. It is important to take breaks while you are driving even if you do not feel sleepy. Taking breaks will also help you stay refreshed and alert. You can stretch your legs, get a snake and drink some water during your break. A blind spot is any area where the driver's view may be obstructed. This includes places such as directly behind the truck and behind the side mirrors. Check your blind spots before you pull off. If you are involved in a truck driving accident, you should consider visiting this website to learn more about your actionable legal options. .